The Higgs boson has been spotted bottoming out - but that's a good thing. Physicists have detected the elementary particle decaying into two bottom quarks, exotic, short-lived particles that often appear in the aftermath of high-energy particle collisions. The elusive process was finally observed six years after the Higgs boson's initial discovery, by physicists working at the Large Hadron Collider at CERN in Geneva. Researchers from two LHC experiments, ATLAS and CMS, reported their results simultaneously in a seminar held at CERN on August 28. TScientists don't detect the Higgs boson directly. Instead, they spot the debris produced when the Higgs disintegrates into less massive particles. The Higgs boson is expected to decay to two bottom quarks more than half of the time. But scientists hadn't been able to tease out the process until now, because other mechanisms can produce bottom quarks and mimic the Higgs decay (SN: 9/3/16, p. 13). 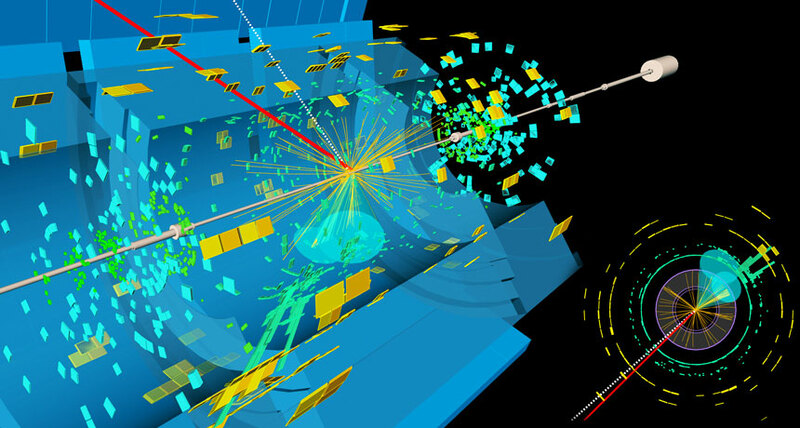 Scientists previously saw the Higgs break down into other types of particles, including particles of light called photons, a process which has fewer issues with Higgs impersonators. With the Higgs boson's unveiling in 2012, physicists filled in the last missing piece of the standard model, the theory of the fundamental constituents of matter (SN: 7/28/12, p. 5). But physicists still want to know more about the Higgs' inner workings. The standard model makes predictions of how often the Higgs should decay into different types of particles. Bottom quarks are one of six types of quarks in the standard model, each of which has different properties, such as mass and electric charge. While the lightest quarks make up commonplace particles like protons and neutrons, bottom quarks are relatively heavy and rare. Physicists want to measure the various ways the Higgs boson decays to see if the rates match expectations. If not, that could mean something is wrong with the theory. But the new results upheld the standard model.